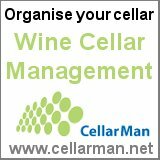 Oz-Events.com is where Australians and friends living and working outside of Australia can find functions and events relating to or organised by or for Australians. Hundreds of cultural, business, sporting and friendship events are held in every country every year. This is the place to find them. Oz-Events.com is a free, post-it-yourself service. To post an event go here and fill out the form. It's that simple! While the events are oriented towards overseas functions, major events in Australia, which may attract Australians and visitors, are welcome. Contact Us - Send a note.